Want to watch the Atlanta Falcons on Monday Night Football online? Check out the complete guide to all of your legal streaming options! Over 180 channels to choose from and NFL SUNDAY TICKET for the 2018 season. Unlimited cloud storage space for your DVR and three simultaneous streams. Lets you customize your package to add extra DVR storage and unlimited streaming. *Autopay & paperless billing required. $105/mo. for months 13–24 (subject to change). 2018 kicks off football season with a playoff-caliber game: an NFL Divisional round rematch between the Atlanta Falcons and Philadelphia Eagles. It’s time for QB Matt Ryan to show how the Falcons play football as they try to pick up a Week 1 win against the former Super Bowl Champions. If you haven’t yet decided how you’re going to watch the Atlanta Falcons, you’re in the right place. We’ve taken the time out of our schedule to watch some good old-fashioned television and make a list of the best services out there. Check out how we watch and give us your thoughts. 11 out of 16 Falcon games will air on FOX channels, so as you can tell, it’s probably the most important channel for you to have. Be sure to check out what channels are available in your area with whatever service you choose. We’ve put our thoughts together and ranked each service to help you out. We’ll cover the most important ups and downs for each service that gets you the Atlanta Falcons in 2018. What we like: Every. Single. Falcons. Game.  If you want to get the biggest bang for your buck, DIRECTV is probably going to be your cup of tea. It offers a varied channel selection, over 200 hours of DVR storage, and NFL SUNDAY TICKET for the 2018 season. DIRECTV really is the perfect spiral for Falcons fans. Several streaming services offer add-on subscriptions for channels like the NFL RedZone and the NFL Network, but neither of those channels give you access to all the regular games. That’s where DIRECTV’s exclusive NFL SUNDAY TICKET comes in. NFL SUNDAY TICKET was created for football fanatics like us who want to keep up with the Falcons 24/7. Normally, it costs around $293 for one season, but with DIRECTV, all that football is included in the cost of your first year. It’s like having a year’s worth of season tickets to any team in the NFL, which are typically worth $500 or more each—but you can enjoy the game from the comfort of your couch. If you like the service, you’ll be happy to know you’re automatically enrolled in it next year. But if you don’t want to shell out $293 your second year, make sure to cancel before the next season starts. Otherwise, you’ll have to wave goodbye to a pretty decent chunk of change. DIRECTV does come with a two-year contract, which can be a bit nerve-wracking. But that’s why we’re here—to give you the heads-up on hidden fees you need to know about. So to start, you should know that you have to sign up for paperless billing if you want the $45 per month price (otherwise, it’s actually $50). Another thing you may want to write down: once your second year with DIRECTV starts, your price goes up from $45 per month to $105 per month. That’s a lot to consider, especially when looking at other options. But DIRECTV is still number one on our list because, when it comes to watching Atlanta Falcons football, DIRECTV gives you the absolute most coverage and reliability. #2 YouTube TV: Watch, rewatch, and enjoy each time with streaming’s largest DVR service. Consider giving the free trial a spin before football season picks up. The best part of YouTube TV is how many screens you can stream with at once. If your household tends to be one where everyone tries to watch TV at once, YouTube TV makes it possible for you to stream on up to three devices. This especially comes in handy if your family or friends aren’t interested in watching the game. The cherry on top of this sundae is the DVR system. The unlimited cloud-based storage makes it so you never have to worry about anyone deleting your SportsCenter highlights. You can store your favorites for up to nine months and enjoy them all in the meantime. Streaming services don’t make you sign a contract, so you can opt out of the service whenever you like. Unfortunately, like our Falcons in Super Bowl LI, YouTube TV’s flaw (yes, there are flaws) is that it’s still growing—meaning that several channels haven’t hopped on the bandwagon yet and may be unavailable in your area. Remember, if you want to stream Atlanta Falcons football, you’ll need access to FOX channels. Currently, YouTube TV has 98 local FOX affiliates across the United States, so your chances are good, but it’s best you check it out for yourself. We recommend sliding in to YouTube TV’s homepage and clicking on their Try It Free button. This’ll take you to a page where you can see which channels you’ll be able to stream when you sign up. #3 Hulu with Live TV: Expand services you already have and improve your watching experience. Hulu with Live TV offers all the channels you need to watch the Atlanta Falcons—and it throws in access to its entire on-demand library and award-winning originals. You can try it out with a free trial and see if it satisfies your entertainment needs. Hulu Live’s base package starts out at $39.99 a month, but that can change a lot if you like to customize your options (more on that later). There’s no contract either, which means you’re able to leave Hulu Live and come back whenever you like. 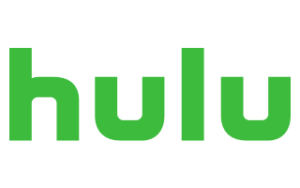 Hulu Live has the most local channel affiliates of any streaming service on this list with almost 600 local channels available across the United States. That means you’re more than likely going to have access to all the Falcons games you need. But before you take that leap of faith—we recommend you check out what local channels are available in your area on the Hulu Live homepage. We know you’re eager, but stream responsibly. Hulu Live holds its own outside of the football field too. It not only has one of the largest on-demand libraries in the game but also lets you add on HBO and Showtime. So you can watch shows like Ballers or the last season of Game of Thrones (when it finally comes out). Before you sit down to enjoy your newly customized subscription, remember that everything has a price tag. All these add-ons sound like the best way to experience all that Hulu Live has to offer, but they are not included in the base package. So, you’ll be adding $10 or $15 for every add-on you order. Eventually, those add-ons can stack up, and you’ll wonder where your snack money went once the season starts. Falcon football is underway—are you watching? The Falcons have a chip on their shoulder, and they’re looking for a Super Bowl redemption this season. Their upcoming game with the Eagles will set the tone for the rest of their season, so make sure you’re watching. Comment below, and let us know how you’ve chosen to watch Falcons football.